Do you live and love music? Is singing your true passion? 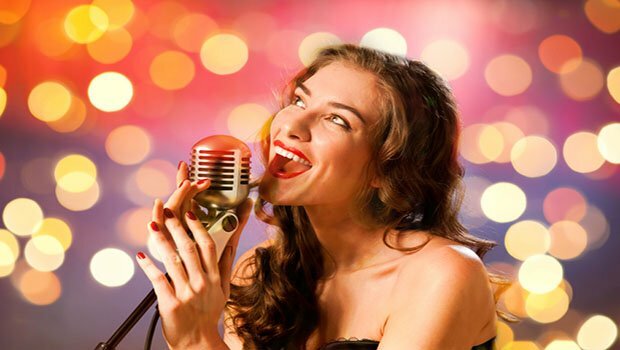 Have you secretly stood in front of the mirror, singing your heart out, as if you were on a stage performing live to a crowd of hundreds of people? Well, don’t just dream. Step up and turn them into reality. In today’s technologically connected world, it is a lot easier for aspiring artists to realize their dreams and launch their careers in the field. Now even though the competition is soaring high, all you need is to believe in your talent and go all out. Although while starting out, you might have to struggle with doing free work, but sooner than later, you will start to make good bucks if you forge right into it. One of the first and most important thing to do is to take voice lessons. You can either contact a good local music teacher or you can also join some of the best music schools in India. These include – KM Music Conservatory(A. R. Rahaman’s School of Music), Adarsh Kala Mandir, Delhi School of Music, The Music Academy, University of Delhi, among many others. The more you train the better you’ll be able to understand what your singing style is and gain command over it. While training for your voice, it might be a good idea to learn an instrument as well. This will give you the advantage of being your own band if and when you perform at events, gigs, auditions, etc. It’ll also help you compose your own tunes. Get involved in your local music scene. Go to open mics, perform in school and college events, at private parties, weddings, basically everywhere. Do this for a couple of months, make a portfolio and then approach an agent to get paid gigs. Pick 4 to 5 of your most favourite songs and practice them to the T. Video record your best performances of these songs and upload them on YouTube and share them widely. Anytime is a good time to give auditions. Just make sure you are prepped well. You can audition for various theatre groups, singing troupes or even for singing reality shows. Go out and connect with other musicians from your local music scene as they can be very instrumental in getting you gigs and other important contacts in the music industry. Record a demo CD of your best songs and send it to music managers, dubbing studios, music producers, record labels and also share it with fellow musicians to help spread the word. Today, you need to be your own Manager and Marketer. Make pages on all social media channels, such as Facebook,Twiter, Instagram. Keep them updated with fresh music content, so as to reach out to most number of people.